Esther M. Davies, a loved and loving wife, mother, and grandmother, passed away at Willow Valley Communities on Thursday, March 15, 2018. She was 87. Esther was the daughter of the late George Dengler and Esther Lamb Dengler of Shenandoah, Pa. She was the beloved wife of the late John C. Davies of Philadelphia for nearly 58 years. Esther and John lived in Bryn Mawr for 37 years, where they raised their family. They retired together to Willow Valley Communities in 1995. Esther is survived by two sons and five grandchildren; John C. Davies II, of Willow Street, his wife Lee Ann and their children Alyssa, Andrew and Aaron, and Scott R. Davies, of Allentown, his wife Laura and their children Kaitlin and Grace. Esther was predeceased by her son, Keith A. Davies, in 1983. She graduated from J.M. Cooper High School, Shenandoah, Pa., in 1948. She was employed as a secretary with Pennsylvania Manufacturing and Casualty Insurance Company, Harrisburg, Pa., when she met her future husband. They were married in Harrisburg in 1957. Throughout her adult life, Esther was an avid volunteer in her community. 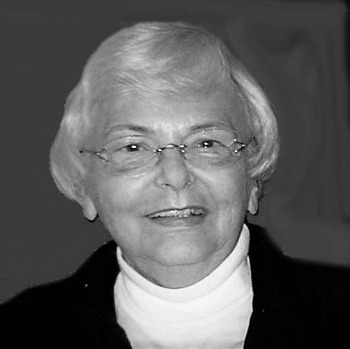 During her years in Bryn Mawr, her endeavors included the Parent Teachers Association, Ardmore United Methodist Church, Bryn Mawr Hospital, and the League of Woman Voters. She was also politically active. After initially serving as a committee member of the Haverford Township Republican Party, Delaware County, she became the first woman elected as Chairperson. Esther was active in candidates’ campaigns for County Commissioner, State Representative, and Lt. Governor. After retiring to Willow Valley Communities, Esther served as Judge of Elections and remained active in community projects and endeavors, most notably the chorus and as a stalwart advocate for the library. Esther and her husband enjoyed traveling to all 50 states, 225 National Parks and Monuments, and Europe. She possessed a life-long love of choral music and was an accomplished hobbyist in needle work. Friends and relatives are invited to attend a memorial service at 11:00 AM on Saturday, April 7, 2018, in the Johnson Auditorium of Willow Valley Manor North, 600 Willow Valley Square, Lancaster, Pa. The family will greet friends immediately following the service. My condolences to Ms Davis’ family. May our Heavenly Father give you peace and give comfort from his many promises Isaiah 25:8. We are friends of Scott and Laura Davies . We send the deepest sympathy to them and the rest of the family . Dear John and Lee Ann, Lifting up you and and your family in prayer. We had the pleasure of meeting your mother at your father’s service. May The Lord continue to comfort each of you as you walk through this earthly valley. Having just celebrated the resurrection of our Lord, may you find joy and peace knowing that your mother was ushered into His presence and she is finally home.